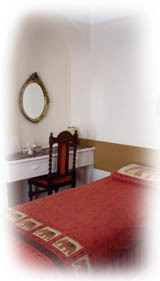 All our bedrooms have colour T.V, trouser press, and are tastefully decorated. There are tea & coffee-making facilities and we provide fresh, clean towels. Our standards of cleanliness are very high, and we pride ourselves on maintaining the very highest levels of service. So much so, that many of our guests return year after year, whilst our landlady, Mrs. Dorota Perruzza, was a top 20 finalist in Landlady of the Year 1995! 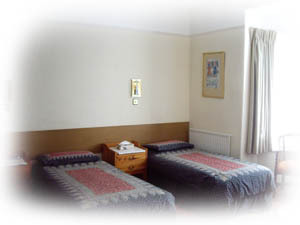 We have a number of different rooms available, from single, double and twin, to family rooms for three or more people. For a full list of rooms and tariffs, please call and/or e-mail us. We will be more than happy to advise you.